On 17 March an important conference was organized by the European Commission in Brussels. This event was about the possible changes in the methodology to establish dumping in trade defence investigations concerning the People’s Republic of China. On 11 December 2016, certain provisions of the Accession Protocol to the WTO of the People's Republic of China expire, for this reason the European Commission is currently conducting an assessment of the possible impact of this expiry, including on the EU's anti-dumping legislation (Regulation (EC) N° 1225/2009). The aim of the conference on 17 March 2016 was to collect stakeholders' input regarding the options being considered by the Commission on how to respond to the expiry of certain provisions of the Accession Protocol to the WTO of the People’s Republic of China. An online consultation, which will close on the 20 of April 2017, was also launched to ensure that all relevant stakeholders have an opportunity to comment on the economic and social impacts of the options under consideration. When China joined the WTO in 2001, significant distortions in that economy persisted and thus, under Section 15 of China’s Protocol of Accession, other WTO members have the possibility not to consider China as a market economy in anti-dumping (AD) (and anti-subsidy (AS)) proceedings. China has argued that the Section 15 provision allowing for Non Market Economy methodology expires after 11 December 2016, resulting in a legal obligation to grant Market Economy Status to China after that date. This interpretation of the section remains highly controversial. There are three basic options on the EU table that can be considered to follow-up the expiry on 11 December 2016 of the relevant provisions of section 15 of the Accession protocol: leaving the EU legislation unchanged; changing the anti-dumping methodology for TDI with no additional measures; changing the anti-dumping methodology for TDI as part of a package with additional measures. In the event that China and other WTO members are removed from article 2.7(b) of the basic anti-dumping regulation, the analogue country methodology for calculating dumping margins may no longer be applicable to these countries. Usually, dumping is calculated by comparing the export price of a product exported to the EU with the domestic prices (or, if these are not reliable, with the costs of production) of the same product in the exporting country ("standard dumping methodology"). However, WTO rules provide for special treatment for countries which have a complete or substantially complete monopoly of their trade and where all domestic prices are fixed by the State. In practice, domestic prices and costs in those countries are not used as the basis to compare with export prices because they are considered unreliable owing to pervasive State influence in the economy. Instead, investigating authorities use data from another market economy country (so called 'analogue country') as the basis for calculating dumping margins. During the conference the EU Commissioner for Trade, Mrs Cecilia Malmström, underscored that the Commission will take into consideration the various stakeholder's views and opinion. At this stage no decisions have been taken. 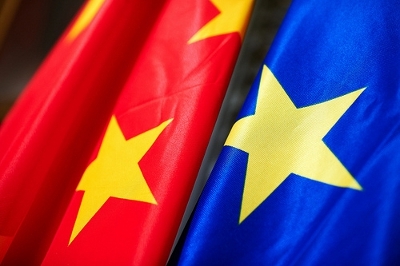 In addition, the Commissioner underscored that whatever option will be chosen, it will not be cost-free and the decision is a very difficult one to take as China is a vital EU trade partner. Several stakeholders with different and divergent interests brought forward their opinion. - There are no legally convincing grounds to deny MES to China; how can we expect China to follow the rules if the EU does not honour the WTO accession protocol? In the meantime, in China, the EU Commissioner for Competition Margrethe Vestager was having various meetings with her counterparts in the Chinese Ministry of Commerce (Mofcom), the State Administration of Industry and Commerce (SAIC), the National Development and Reform Commission (NDRC), the State-Owned Assets Supervision and Administration Commission (SASAC), and the Development Research Center of the State Council (DRC), in order to discuss cooperation on competition issues between the EU and China, as well as China's reform agenda. The meetings took place against the background of the release of China's 13th Five Year Plan last year, which will steer China's transition to a more sustainable economic model until 2020, including by defining the role of the market and restructuring the economy to tackle overcapacity. Competition policy plays a central role in this context. Following her meetings, Commissioner Vestager said: "The meetings confirmed our shared interest in strengthening our cooperation on competition matters. They provided me with a first-hand sense of the challenges and urgency of China's reform—in particular the ambition to let the market shape the economy, for domestic and foreign operators alike. I believe the European experience of building our open single market and our history of restructuring and liberalising a number of sectors contains useful ideas in this respect. In particular, I shared with my Chinese counterparts the Commissions experiences as enforcer of state aid control within the single market."